Adjustable clamping handles can be used on machinery and jigs allowing for quicker set-ups. 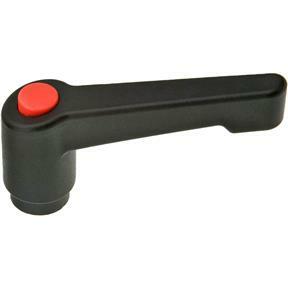 Once in place, the handles can be rotated away from the workpiece just by pulling up on the handle and turning. Great time-savers! Size: 3/8" - 16, Type: Female.